All owners of non-exempt wells are required to report the annual groundwater production from those wells by March 1 of the following year. A Metering Method Form must be completed and filed with the District to ensure annual production reports have accurate metering information. If you have recently purchased water rights in the North Plains Groundwater Conservation District and need to have an Annual Production Report sent to you please fill out an Affidavit of Ownership form along with a Metering Method form. An owner may use an alternative metering method for all wells in existence before October 14, 2003, to report groundwater withdrawals from a Groundwater Production Unit (GPU) until the owner applies for a permit to construct a well or amend an existing well permit on the GPU. At that time the owner is required to install and report annual production from flow meters at the pump on the new well and all other wells within 365 days after the date the permit was issued. Owners of GPU’s of less than 640 acres and not contiguous with the owners other GPU’s may request to be allowed to install a flow meter at a central collection point. the GPU contains less than 1,600 acres with distant diagonal corners no more than 25,000 feet apart. 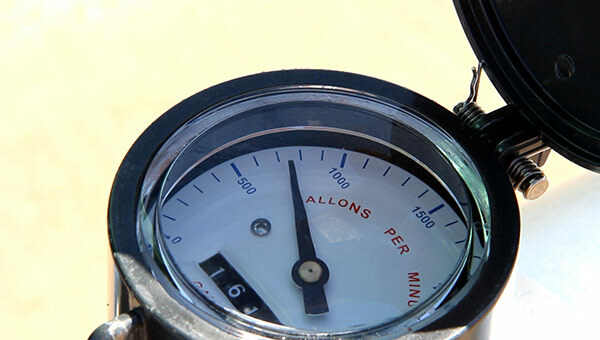 The District has a meter reimbursement program available to agricultural irrigation producers which will reimburse 50 percent of the cost of the flow meter. Information, requirements and applications for the program are attached. For more information on this program, go to Meter Reimbursement Program. Do you have questions? Our staff members here at the District would be more than happy to answer any questions you may have. For more information, please call our office at 806-935-6401.